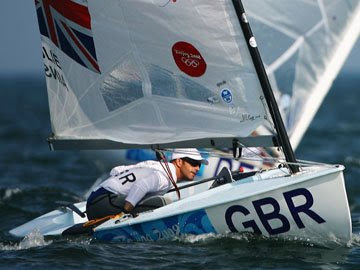 Ben AINSLIE (GBR) then placed 10th in race 6 with Zach RAILEY (USA) in eighth to go into the lay day with a one-point advantage. Guillaume FLORENT (FRA) moves up to third after placing fourth and sixth today. Chris COOK(CAN) drops one place to third after finishing 23rd and fifth today.“It was a good race in the first, but I would have liked to done a lot better in the second so that was pretty disappointing.